Hi, what’s up and did you have a great Christmas? 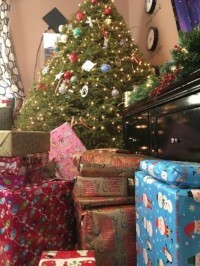 Below is a picture before we opened presents this year. We gathered as a family, combining 4 families and all the kids gifts. We have such abundance don’t we? The days preceding Christmas we traveled 14 hours along highway 81, snacked, ate, spilled, bickered and tried to synchronize our potty stops, yeah right? We ate and ate, tried to sleep, rock climbed(inside of course because it was in the 30’s brrrr in Tennessee),went for walks to help kids expend energy, wedged in naps and ate some more. We saw the “Polar Express” movie, very fun movie with awesome 3D effects, baked cookies for the local fire department and took a walk to deliver them, the kids really enjoyed it. We did a lot of laughing and watching how the kids interacted with each other, cute and very entertaining and did I say eat? Of course, lots of eating and snacking. We love our kids and grand kids but it is good to be home and get back to “normal”. So what else have I been up to? 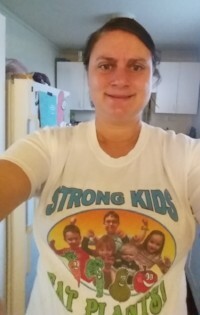 I created some cute t-shirts for the grand kids…”Strong Kids Eat Plants “ with pictures of all of them making muscles with a carrot, apple, pear and broccoli, and gave one to each of their moms and auntie. If you have any interest in having one let me know. 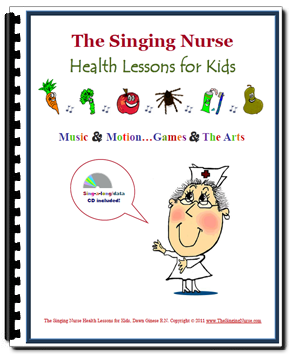 It can also be customized with your child/children’s picture. I am taking a Plant Based cooking course in January because in the past couple years I changed to a Whole Food Plant Based way of eating and I am enjoying the health benefits like lowering my cholesterol. I’m a nurse right? I want to learn more tasty ways to get in more fruits, veggies, beans, potatoes, legumes and quinoa etc., you know all that healthy stuff that comes from the earth. 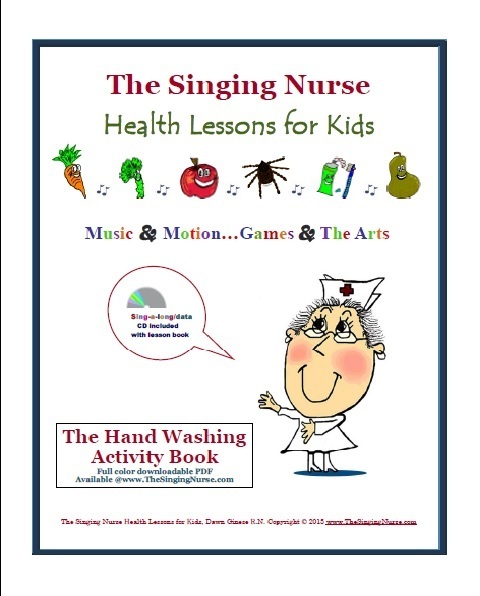 Let me know if you are interested in learning more about it. 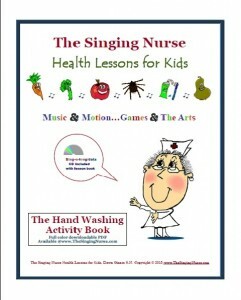 I continue to do fun projects with my patient that can be transferred to home or classroom activities with your kids. I would love to hear how your Holiday Season has gone. Do you have any funny stories any healthy recipes, any questions or ideas? All of this sharing to bring us back to what Christmas is really about. Here are the words to a Christmas song I wrote awhile back when I was getting sad one Christmas. It’s so easy to get caught up in the commercialism and activities of the season and miss the point. What shall we give to Him, on this very day?